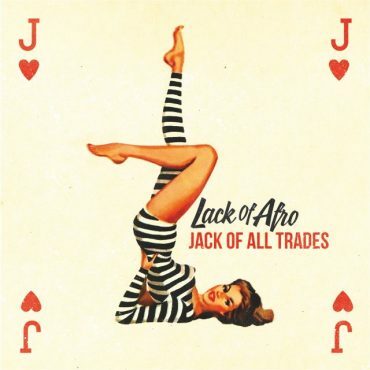 Never one to be constrained by musical genres, multi-instrumentalist, composer and producer Adam Gibbons (aka Lack of Afro) has taken it up several notches with his sixth studio album Jack of All Trades, a multi-genre tour de force that combines soul, funk, hip-hop, disco, rock and everything in-between, all wrapped up in his signature chunky production to create arguably his finest work to date. The album is blessed with some incredible vocal performances. Regular collaborator Elliott Cole, Nick Corbin (formally of New Street Adventure), Ed Martin (formerly of I Am Giant), Wax & Herbal T, Alyssa Marie, Camila Recchio, Juliette Ashby and Emma Noble are all on scintillating form on an album that’s crammed full of infectious hooks, top musicianship, and more importantly, vibe by the bucketload! Classic soul (Back To The Day, Reach Out), hip-hop (Back In Business, Take It Up A Notch), disco (Only You & Me), rock (Over & Out), modern soul (Baby Be Mine), folk (Home) and a healthy dose of funk (The Messin’ Around Intermission, Good Love), all combine to create an album that is stuffed with gorgeous phonic gems of all varieties and represents a definite step up from anything he has done before. Packed full of beautiful horns and lush strings (and all recorded onto tape through a 1970’s mixing desk), Jack of All Trades is Adam doing what he does best and then some – blending the old and new to come up with a crossover classic that’s entirely his own, whilst all the while ensuring that the songwriting takes centre stage. Adam’s music continues to be in high demand across all aspects of film & TV by networks such as ABC, Fox, NBC, Sony Pictures & the BBC. 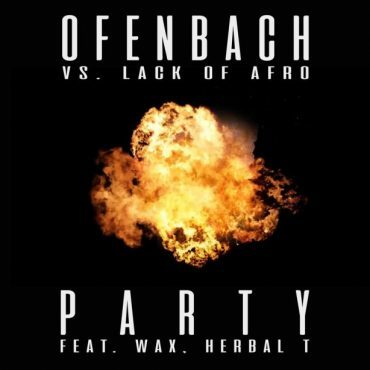 A remix of his 2011 classic P.A.R.T.Y by French duo Ofenbach (released on Warner Music in March) is set to be one of 2018’s tracks of the year, whilst his debut album Press On (2007) has just been given ‘classic’ status by Future Music Magazine. Club DJs and producers Dorian Lo and César de Rummel have been active as Ofenbach since 2014, the year the Paris, France-based duo fell under the spell of house music. The young musicians had a creative epiphany when they heard the productions of Robin Schulz, then set off on fusing elements of traditional rock and electronic dance music with pop appeal. After an assortment of singles and remixes Ofenbach broke through in 2016 with Be Mine, which landed in the Top Ten of several pop charts across Eurasia, including France, where it earned a diamond certification. After collaborating with US songwriter Nick Waterhouse on KATCHI (6th on the European airplay chart and the most Shazamed dance track in the world for more than three months), the duo have turned the energy up a notch with a new musical revelation: PARTY. Presenting their own unique take on the Lack of Afro feat. 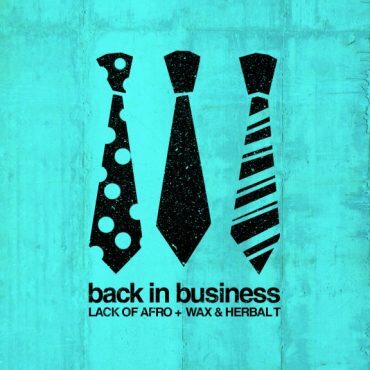 Wax & Herbal T old school hip hop/funk classic with its rock, hip-hop and electro influences, PARTY does what it says on the tin! 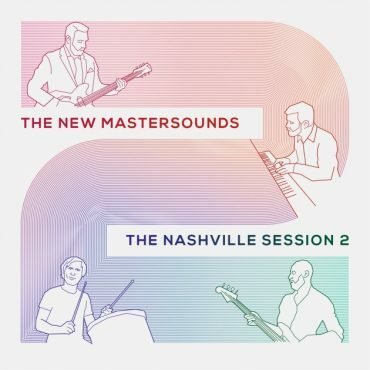 During a tour pitstop in June 2018 The New Mastersounds returned to Welcome To 1979 studios in Nashville, TN to record a follow-up to their 2016 live-in-studio album The Nashville Session. The band performed 15 tunes in front of a small invited audience, recorded them straight to tape using tasty vintage gear, and selected 8 favourites to go onto a vinyl LP, adding two more for the CD and digital releases. Their live set was recorded and mixed directly onto ¼” stereo tape reels on a hot summer evening in front of an invited studio audience, members of whom took turns either to watch in the live room or listen from the control room. The first Nashville Session album was organ-only, so to give this one a different flavour Joe Tatton played acoustic upright piano, a Fender Rhodes, a Wurlitzer and a Prophet 5 synthesizer. With no edits and no overdubs – just bass, drums, guitar and keyboards – both albums capture the band’s heavily-improvised and energetic approach to live performance yet share the same warm, naturally crunchy, analogue tape sound of the classic soul-jazz and funk recordings of the late 60s and early 70s which first inspired the band to start making music together nearly 20 years ago. The compositions presented here are all NMS originals. Fast forward 8 years and collectively they have appeared on 6 Lack of Afro originals including the monster hit P.A.R.T.Y (licensed by Adidas, Miller Lite, ABC and Fox to name but a few), whilst Adam has returned the favour by producing 6 originals for their own solo projects, with combined YouTube views totalling in excess of 10 million. Kicking things off here is the irresistibly catchy title track Back In Business – a funk-soaked tour de force of live musicianship, huge drums and a chorus that will stay in your head for weeks! Cold Blooded sees the brothers go hard from the outset – their ferociously quick & aggressive wordplay perfectly complimenting Lack of Afro’s savagely funky instrumental. To call it ‘big’ would be an understatement! Take It Up A Notch does exactly what it says on the tin, keeping the dance-floor packed and cranking the party vibes right up to 11. Ride is reminiscent of hazy 70’s west coast radio – underpinned with a groove to make your head snap and combined with Wax’s wistful vocals, it’s the obvious soundtrack for your next road trip. And there you have it. 5 tracks. 5 winners. Game over! *Balcony – unavailable for licensing. Renewable Energy expands on the NMS template while still providing plenty of the band’s trademark sounds. Guitarist Eddie Roberts, drummer Simon Allen, bassist Pete Shand and keyboardist Joe Tatton are joined by a number of guests: Sam Bell, one of the founding members of NMS precursor The Mastersounds who also guested on two previous NMS albums, plays percussion on most of the tracks. Mike Olmos and Joe Cohen of West Coast Horns once again provide added horn action as they did on Made For Pleasure from 2015, while Adryon de León from LA band Orgone contributes vocals on Gonna Be Just Me. Uptempo numbers Tantalus and Yokacoka see the band flexing their playing chops over a tightly-wound rhythm, while Green Was Beautiful and Groovin’ On The Groomers are toe-tapping slabs of soul jazz. The moody Hancock-esque inflections of Stash and the sweet mellow vibes of Swimming With My Fishies add the final brush strokes of colour to the canvas. 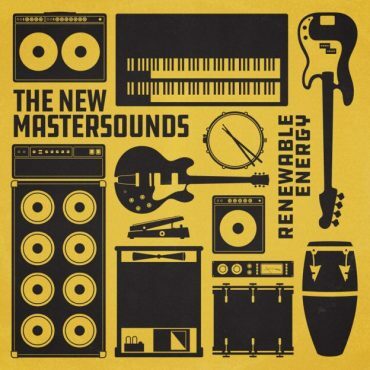 After almost two decades of activity it’s obvious The New Mastersounds are in no shortage of fuel, indeed they appear to have found the formula with which to stay relevant and fresh, running on Renewable Energy. Bernard “Pretty” Purdie – the self-proclaimed “Most Recorded Drummer in History” – new album, Cool Down is his first release of original music in nearly a decade and features the legendary Bernard Purdie alongside modern funk, soul and jazz masterminds Ivan Neville, Pete Shand, and Brian J. Special guests include three inimitable vocalists: Cyril Neville (The Meters, Neville Brothers), Anthony Cole, and Mayteana Morales (Pimps of Joytime). Ranked among the “Top 20 Drummers of All Time” by Rolling Stone Magazine and inducted into Modern Drummer‘s “Hall of Fame,” Purdie’s idiosyncratic drum work can be heard on a staggering number of classic albums produced by artists such as The Beatles, James Brown, Nina Simone, B.B. King, Herbie Hancock, Miles Davis, Hall & Oates and Steely Dan. His drum patterns, a unique merger of urban swagger and loose Southern funk, have all but defined early hip-hop. Cool Down takes the metropolitan sound of East Coast funk and intermingles it with New Orleans rhythms. Cool Down, Elevate and Keep on Shining are grooves that fans of The Meters and Funkadelic would come to expect Purdie to record with his fresh new band. The early 70’s-esque standout single Deep in Love featuring Brooklyn’s own Mayteana Morales is destined to become an instant classic. Cool Down keeps true to its funk roots with standout instrumental numbers Shand Stand, Money Bags and The Golden Tie. And with Purdie straight on the beat and sparse as can be, Stranded elevates the blues tradition to historical proportions with Cyril Neville singing his heart out while Ivan Neville supports on Hammond B3. 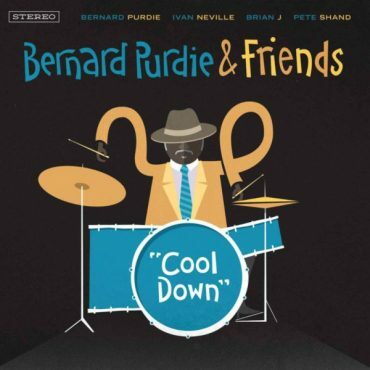 On Cool Down, Purdie brings the same vibrancy and spontaneity that embodies the best work of his famed career. With his new core band and standout special guests … Cool Down marks one of 2018’s singular soul & jazz albums. Matador! 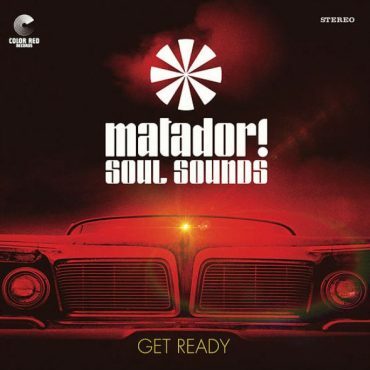 Soul Sounds are proud to announce their debut album Get Ready. Matador! Soul Sounds are a band loosely based on the concept of Spanish bullfighting. A common misconception in America is that bullfighting is a feat of one man versus one bull—in reality, bullfighting is largely a team effort by a matador and his cuadrilla. Born from the vision of Eddie Roberts (The New Mastersounds) and Alan Evans (Soulive) their fierce cuadrilla consists of keyboardist Chris Spies and bassist Kevin Scott (Jimmy Herring) as the band’s “banderilleros”. Adding a feminine energy to the band are Adryon de León and Kimberly Dawson (Pimps of Joytime) on vocals. Combining the dynamism of each band leader, the music they have created is brand new, hard hitting and drenched with their shared musical passions – jazz, funk & soul.